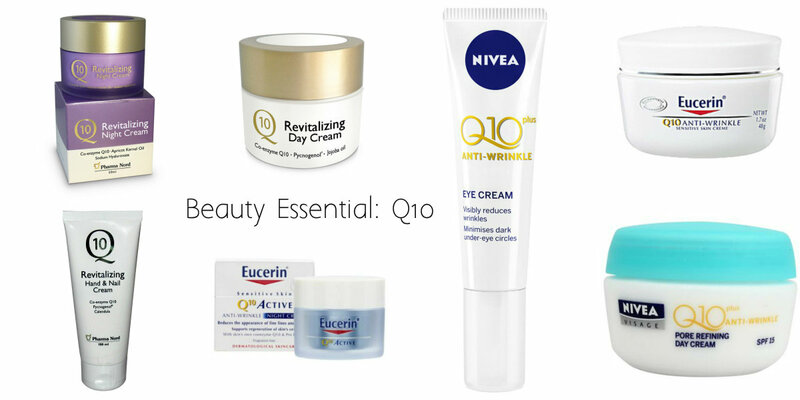 Beauty Chat: What does 'Q10' really mean? There's been a lot of talk in the beauty industry surrounding a key component found in many beauty creams: Q10. But what is this ingredient, and how can it help add value to your beauty routine? So what is Q10? It's actually a coenzyme, of the type that is found in our bodies and skin. It is one of the components that helps produce biological energy inside the cells, and secondly, it is also an antioxidant which helps to neutralise free radicals, which are a key factor in skin aging. Just from this short scientific paragraph, you might be able to work out that Q10, when harnessed correctly, can therefore help skin to repair and also prevent against premature skin aging. It is sometimes difficult to establish what components of your skincare have what purpose, and even more so when they are spoken of in numbers and letters, but in terms of an added extra to your moisturiser, Q10 is a great element to look for. There are several different products on the market which can cater for your specific needs. I have used and really like both Nivea and Eucerin. I like Nivea because they have lots of different creams that can target particular actions, such as pore refining for the face or shadow reducing for undereye. Q10 isn't limited to facial use either; you can get some high quality hand creams that contain the ingredient and it is great for keeping hands looking young and supple. Eucerin is another great brand to look in to because a lot of its products contain glycerol, which helps to keep skin moisturised. Another brand worth considering is Pharma Nord, which sell Q10 day and night cream sets as well as other paraben free Q10 products. Science behind skincare is ever changing and these scientific elements are just as important as the packaging and branding of the products themselves. I find it interesting to note the new releases that skincare companies make; and, of course, trying them out and reporting back on their claims!